The Burden Group is made up of three well-established, dynamic and innovative companies: James Burden, Cavendish Ships Stores and Meat No Veg. With a heritage at London’s renowned Smithfield Markets stretching back more than 40 years, The Burden Group’s industry-leading reputation is based on sound management, high-quality products and knowledgeable, well trained and motivated staff. This philosophy has helped us to achieve rapid growth across the group in recent years; The Burden Group has doubled in size in just five years, and now has trading bases in London, Newcastle, Kent, Hampshire. We have been recognized in the Sunday Times HSBC Track 200 programme consecutively in 2013 and 2014 for growth in international sales, ranking an impressive 20th in the UK in 2014. The Burden Group companies work closely with our suppliers and clients to deliver excellent service. We strive to exceed the expectations of everyone we work with and our highly trained and loyal team achieve this through their insight and understanding of the markets, combined with the group’s strong and secure financial base. We believe in using old-fashioned values and modern innovative management techniques to deliver a first-class service. Trevor started his career in Financial Services before following family tradition to work in the Meat Trade. 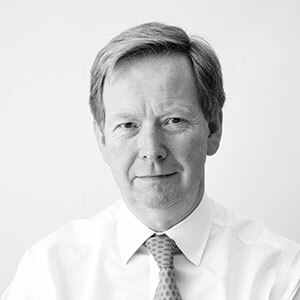 Joining James Burden in 1987 he rapidly progressed to become Managing Director and, after leading a successful Management Buyout, Group Chairman in 2010. 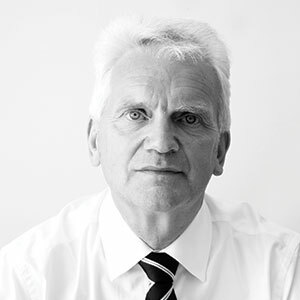 Stuart spent 13 years in the City as a stockbroker and trader before joining the Group, advancing to become Managing Director of Cavendish Ships Stores. Currently, Stuart is helping to diversify the business by developing Cavendish’s exciting new Trading division. David is a Chartered Management Accountant whose career has encompassed working with companies of all sizes, both domestically and internationally. 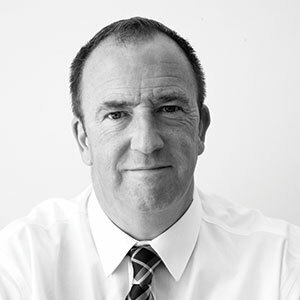 David joined the Burden Group in 2002 and has overseen the subsequent growth and development of the businesses. James Burden is wholesale supplier of top quality meat, poultry, game and delicatessen products from the UK and abroad. Our five specialist outlets at Smithfield Markets supply everyone from catering butchers to individuals, and we supply in bulk to large catering firms and food processors through our specific poultry and red meats divisions. Integrity, quality, and 100% traceability of all products from farm to fork is assured in compliance with HACCP, FSA and CMI legislation. Cavendish Ships Stores has been the industry leader in supplying food and provisions to the cruise ship and ferry industries for more than 35 years. The quality and diversity of the products we source, combined with our professional and responsive staff, ensures we offer an unrivalled service, supplying both household name products and more individual luxury foodstuffs. The rapidly expanding trading arm of Cavendish also provides food and drink to clients worldwide utilising our extensive knowledge, contacts and distribution channels within the industry. Drawing on our Smithfield pedigree, Meat No Veg offers premium quality meat, poultry and game to online consumers. We supply competitively priced, top quality, fresh meat products straight to your doorstep.